Yea yea, I know – yet another blogger with a ‘What’s In My Bag’ vlog. But there’s something so fun about knowing the contents of someone’s bag. No?? I feel like you can really tell a person’s personality by knowing what they carry in there. And even the kind of bag is important. I’m a full on tote girl. Give me a huge black tote and I’ll be happy. You’ll never catch me in a medium sized cross-body or anything. I just have wayyy too many things in my bag. Ok, what about you guys? Any weird things in your bag? I know the measuring tape was a bit odd, but I seriously whip that thing out way too many times in a week! It’s NEEDED. You just never know. If you guys haven’t subscribed to my Youtube channel as yet, do it now! Lot’s of fun videos coming your way. Tell me what else you want to see on the blog/youtube. I’d love your ideas. Also, make sure you’re following me on Instagram. Two big giveaways coming up this week! 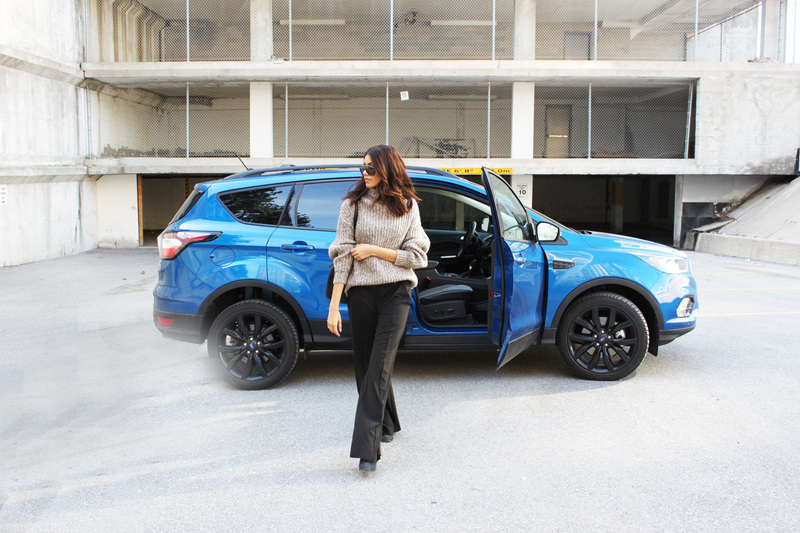 Previous Post RANDOM ACTS OF KINDNESS WITH FORD CANADA. Next Post 9 HEALTHY FOODS THAT ARE ALWAYS IN MY KITCHEN. I always always carry a hand cream with me. Actually I have one in my bag and one in my car! I have about 6 lipsticks too!! Omg thank you for instantly validating my bag. Lol and LOVE your YT! The bigger the bag the more I seem to fill it! Lots of great stuff in yours! Thanks for sharing! I love the oversized shades! So cute! I don’t keep a planner in my bag but I do keep a notebook because you never know when it’s needed and I agree, there’s something about actually writing something down. Love your site, you’ve definitely got a new follower now! 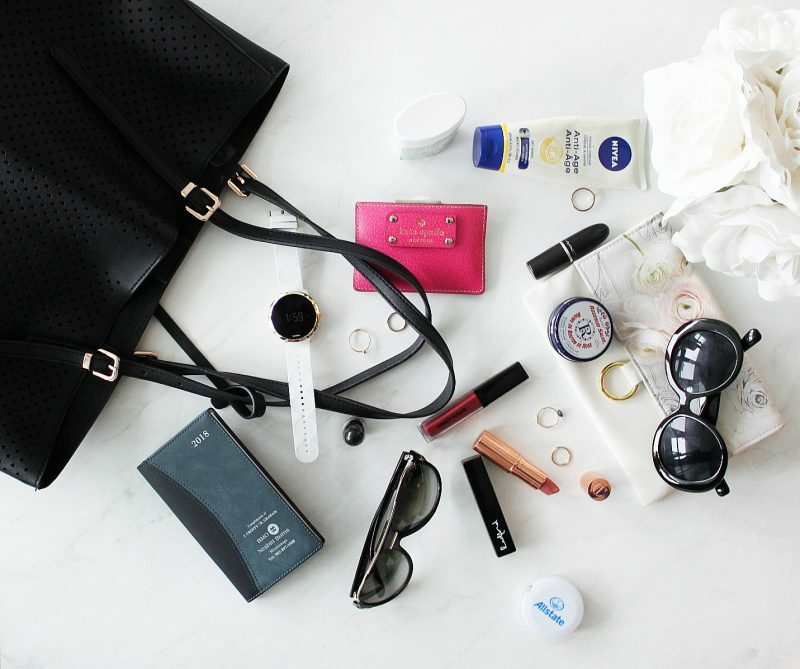 I love ‘what’s in my bag’ posts too! I haven’t tried that Charlotte Tilbury lipstick color yet, but I love the brand! I love watching these! You have such good essential items! Pillowtalk is the best! !